WHY TRANSISTIONAL HOUSING FOR EX-OFFENDERS? Entrusted Connections Ministry (ECM) routinely ministers at Prince William County Adult Detention Center in Manassas, Virginia to the Women In New Direction (WIND). While their offenders often indicate they have no place to go upon release and no support system to help them re-adjust after being incarcerated. 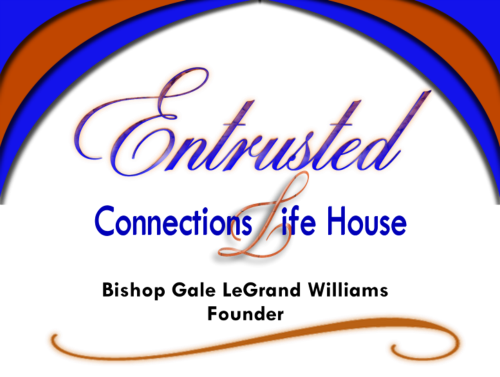 God revealed a need within the Prince William County Community and in accordance with Hebrews 13:16 “But do not forget to do good and to share, for with such sacrifices God is well pleased”, ECM established Entrusted Connections Life House (ECLH). ECM has a heart for Ex-Offenders and ECLH’s primary purpose is to provide transitional housing support in a Christian environment for Ex-Offenders requiring assistance after incarceration. If you share ECM’s heart and passion in providing hope and transitional housing support to Ex-Offenders, please consider making a one time or monthly donation to ECLH at ec-ministry.com. Your donation will go towards ECLH and qualify for a tax deduction. Thank you in advance for your support of ECLH and know that it will make a difference in Ex-Offenders lives.